ECSC GALLERY RIFLE SHOOTER OF THE YEAR COMPETITION RULES. The competition will be conducted annually from October to September with the award of prizes being made at the Club AGM. The competition will be integrated into the monthly pistol shoot and use the appropriate gallery rifle format. The competition is open to all ECSC members. To register for and validate their entry for the competition ECSC members must compete in at least six of the twelve monthly rifle shoots over the period of the competition. The Score allocated by the Range RSO on the day is final and binding. Scores from the monthly gallery rifle shoots will be averaged over the period of the competition to give an overall annual average score, corrected to two decimal places only. Valid scores will be those registered in respect of the shooters’ first entry in any monthly shoot, per rifle held; second entry / re-shoot scores will not be accepted in this competition format. Running scores will be published on the website and posted on the Pistol Range. the competitor with the most number of ‘X’ scored in competitions over the period of the competition will be declared the winner. The score awarded by the RSO is final and binding. There is no Appeals Procedure or recourse to the Club Committee for any appeals; argue your score on the range with the RSO on the day. 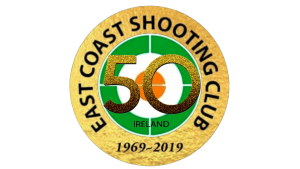 http://eastcoastshootingclub.com/wp-content/uploads/2019/02/ECSC-50th-20190101-300x169.png 0 0 SMCEditor http://eastcoastshootingclub.com/wp-content/uploads/2019/02/ECSC-50th-20190101-300x169.png SMCEditor2018-12-03 19:34:532018-12-03 19:34:53Announcement of new Gallery Rifle of the Year Competition. 50 METRE PRECISION AND FIELD SPORTING RIFLE 50 METRE RESULTS 2nd DECEMBER 2... Club Charity Christmas Shoot next Sunday December the 9th.